For many of you, back to school is almost here. Where did the summer go?! As a parent, you may be ready for back to school, but chances are your kids would like summer to last just a bit longer. However, they might get excited getting some new back-to-school gear. So whether your kids are elementary-school aged or packing off to college for the first time, we’ve got back-to-school recommendations to make this semester go smoothly. Plus, everything on our list can be purchased online so you won’t have to worry about standing in long lines at the brick-and-mortar stores. First up: backpacks and lunch bags. JanSport and L.L. Bean are old standbys for a reason. Both brands sell high-quality packs with fun, interesting designs. JanSport’s new backpacks offer a variety of choices, from pineapple and floral designs to plain and polka-dot ones. They have backpacks for adults, teenagers, and your wee ones. The same goes for L.L. Bean. They even break down children’s backpacks by age, making it easier than ever to select the right pack for your kiddo. If your child is ten or older, try one of the rolling packs to lighten the load. JanSport and L.L. Bean also have several lunch bag options. For more lunch boxes, you can sort through Amazon’s large selection. We like this small and inexpensive green one from MIER. If your son or daughter loves superheroes, then check out the Thermos lunch boxes. Pottery Barn Kids has many different styles of lunch bags that you can coordinate with their backpacks. Your kid can choose from dinosaurs, butterflies, Star Wars™, unicorns, the solar system, and more. Worry about the essentials next: paper, notebooks, folders, pens, pencils, and, of course, printer ink. You might want to pick up staples, tape, glue, paper clips, notecards, and a calculator too. Buying the right essentials depends on what age your kid is. For example, you could probably skip the glue and tape if you have a teenager or college student. Amazon has a great supplies guide for each grade group. But before ordering, do a quick inventory to see if you already have some of these items at home. No sense in wasting money on products you already own! 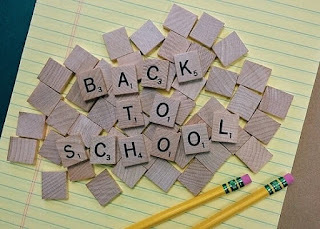 For a comprehensive list of back-to-school items that your child will need, check out our rundown from last year. If you’d like to get a jump start on buying printer ink for school, you can use promo code WATERMELON10 right now through the end of July to save 10% on all ink cartridges. In August, use code PENCIL12 at checkout to save 12% on any combo pack at CompAndSave.com. While electronic devices may not be necessities yet for your younger child, your older student will most likely need a laptop or tablet. Laptop Mag highly rates the Asus ZenBook for university students although it is a little pricey at roughly $600. Students majoring in a creative field might want to consider the iPad Pro or Microsoft’s Surface tablet. Samsung and Dell laptops also are top rated for all types of students. If your high school or college student will be writing a ton of reports and essays, invest in a thumb drive (USB flash drive) or memory card. You’ll need USB cables too. Need to upgrade your family's printer this school year? The best cheap printers for 2017 are the compact HP DeskJet 3755 all in one (AIO), Epson Expression Home XP-430 AIO, and Canon PIXMA MX922 AIO. Have we left anything off this back-to-school list? Let us know below! And share your back-to-school shopping tips on Facebook and Twitter.